It’s no wonder that Earl grows such beautiful and healthy plants - he has had more than 60 years of experience. He started as a young boy while working with his mother in her large vegetable garden. Living in rural, southeast Oklahoma during the late 1940’s, that garden was the primary source of food for Earl’s seven-member family. 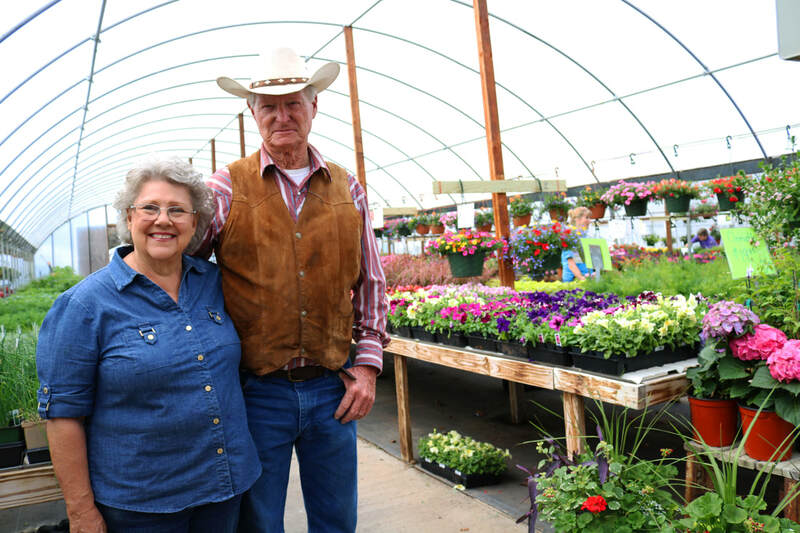 Originally a wholesale tree grower, Earl opened his first retail nursery in 1995 in Tushka, Oklahoma. Realizing the demand for quality, seasonal plants, he soon expanded his growing to include zonal geraniums and large Boston ferns. Each year, new items have been added to the growing list. When their only daughter moved to the OKC area, Earl and his wife, Pam, decided to follow so they could be near their grandchildren. Since the move, the entire family has been actively involved in Earl’s Nursery. Earl has passed along his knowledge and experience to his oldest grandson, Andrew, who now manages the business. Earl has prided himself on providing the best quality plants at the lowest possible prices for over 20 years, and that's one family tradition we to always keep! Stop by today and see what Earl and the family have grown for you.